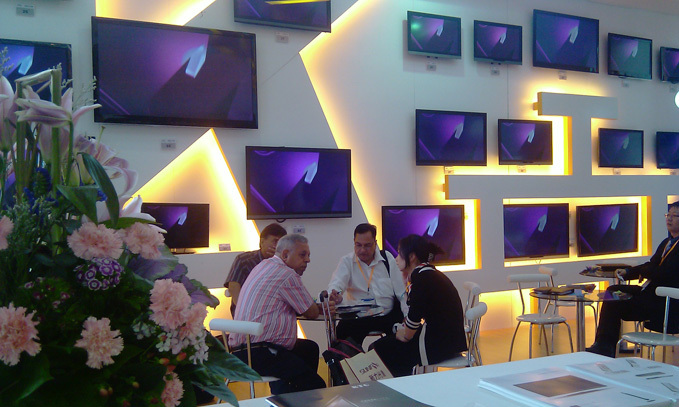 During April 13-16, 2011, top exhibition event for the industry—2011 Hong Kong Electronics Fair was held solemnly at the Hong Kong Convention and Exhibition Center. Each year on this fair, the electronics products which are the most creative and richest in scientific technology are shown on the fair, which has attracted a lot of manufacturers and professional visitors to come to the event from around the globe. As a domestic top ODM supplier, the products of KTC have played well on the fair, which has been welcomed by many participants. KTC has always taken great pains in the booth setting of each HK Electronics Fair, trying its best to leave a best first impression on the clients. This year is no exception. The decoration of the company is unique, fresh in style. The three rows of 3D TVs hanging on the wall are very overwhelming. The effect of the booth is the best among the exhibitors, which has caught a lot of eyes from the clients both home and abroad, especially the professional clients and clients from European and American countries, the number of which has increased. It’s reported that on this event, KTC has shown LED full series and LCD mainstream series, among which L21, L22 are the focus of exhibition. Their most fashionable exterior design, unique appearance of wiredrawing frame and metal case has become the focus of the show area. From the communication with the visiting clients, we find that the status of KTC in the industry of ODM has been well recognized by the clients. The advantages of KTC, namely, rich series, good design and reliable quality have won KTC much trust from the clients. Each HK Electronics Fair displays the improving technical capability and general competitiveness of KTC. While the HK Electronics Fair this year has manifested that KTC has reached the top level both at home and abroad in the technology of 3D TVs. 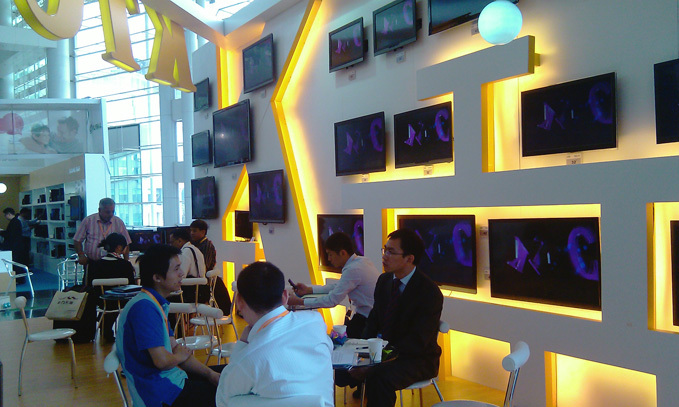 We are fully convinced that KTC will surely develop higher, faster and further in the field of 3D TVs.